Type A vs Type B LED? 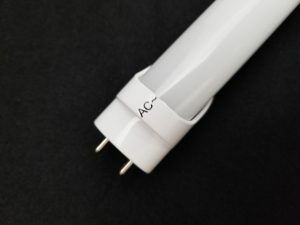 Sometimes referred to as plug and play, the Type A LED lamp directly replaces traditional lamp types such as Compact Fluorescent (CFL) and Linear fluorescent. No rewiring is required, no electrician is required. You can simply replace your existing lamps with new Type A LED lamps. Type A LED’s are not compatible with all existing ballasts. The Type B requires rewiring of the fixture to supply line voltage directly to the lamp holders or sockets. The linear versions, T8, or T5, are available in 3 different varieties: Single Ended Power (SEP), Double Ended Power (DEP), or Universal single or double ended power. Which version you choose is dependent upon your existing fixtures. The Type C requires rewiring of the fixture to include an external LED driver. Essentially the system looks a lot like the traditional lamp and ballast system. You don’t want to invest a lot in a leased property but want to reduce your electric bill. If you want the ability to switch back to the original Linear Fluorescent or CFL lamps. When you don’t want to rely on an electrician to repair your lights in the future. With the ballast removed, you only replace the lamps during maintenance, you eliminated the ballast. When you want to eliminate the ballast. When you want no chance someone will re-lamp with the old technology.